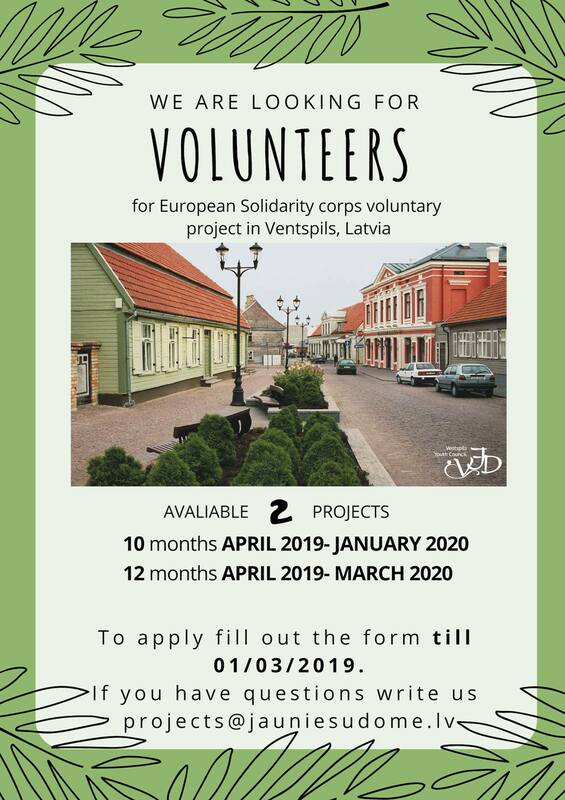 Association “Ventspils Youth council” and Ventspils library are looking for 3 youngsters to join our creative team a be part of a European Solidarity Corps volunteering project in Ventspils, Latvia. You will have a chance to take part in planning day to day activities at the Youth house and in library, by organizing events and workshops. You will haver a possiblity to improve quality of library’s events and reach out wider age groups and cultures. You will be free to create and organize your own intiatives – language classes, art classes, cooking workshops, walks, camping trips and outdoor sports events – you just name it. Daily tasks will include planning events and preparation for the events and workshops, daily youth house and library activities such as discussions with the youth, playing board games , communicating with librarly clients etc.